About 1,000 more high school students recently met minimum California State University academic requirements for admission compared to two years ago here in the Long Beach Unified School District. That’s largely because so many more of these students had taken the SAT than before. Having an SAT score is critical to earning admission to CSU. Why are so many more of our students taking the SAT? Because our school district now offers the exam for free — and they can take it during the school day. It’s simple. With two-thirds of our families unable to afford school meals, a free SAT opens up college opportunities for thousands more students who may not have previously considered themselves to be college material. Long Beach’s success can be emulated statewide if our Legislature passes Assembly Bill 1951, authored by teacher and Assemblymember Patrick O’Donnell, who chairs the Assembly Education Committee. The bill would allow school districts to administer an approved alternative assessment such as the SAT or ACT during the school day for free in place of the state’s grade 11 Smarter Balanced tests in English and math that students take each spring. 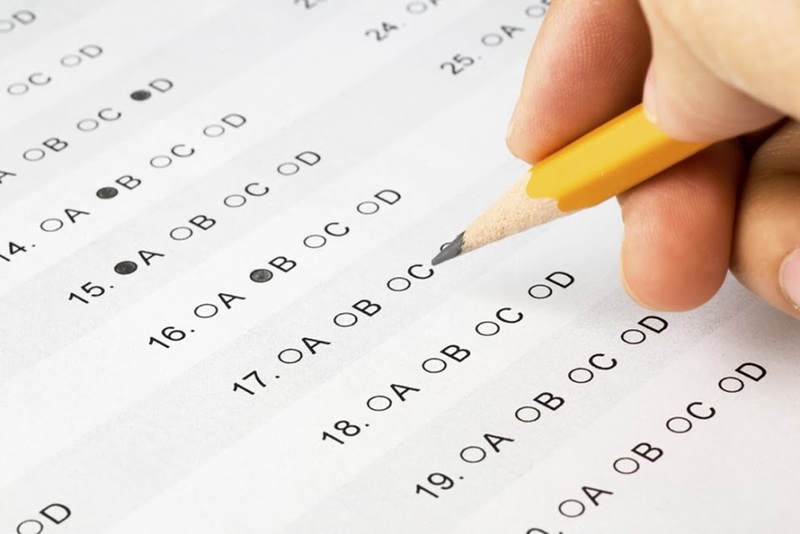 States like Connecticut, Delaware, Illinois, Maine and Michigan already have received the federal government’s blessing to administer the SAT as part of their state-adopted assessment program. But California has encountered unwarranted resistance to the idea, as if the state testing system might slip into a state of anarchy if the 11th-grade Smarter Balanced tests were to go away. Objectors warn that special education and English learner students won’t be afforded the proper testing accommodations. Other states, however, have managed just fine when substituting the SAT in place of the Smarter Balanced in grade 11, and they have done so while respecting the needs of special education students and English language learners. The College Board is committed to making sure that students with disabilities can take the SAT. Typical SAT testing accommodations — comparable to those offered by Smarter Balanced — include Braille and large-print exams, more time to take the test, use of a computer to write for essays, extra breaks and more. English learners taking a state-funded SAT during the school day have access to testing instructions in several native languages along with approved word-to-word bilingual glossaries and dictionaries. The College Board’s website spells out these accommodations clearly. Considering these accommodations, if California really respects the needs of special education and English learners, then we should also give these populations a fairer shot at the SAT by paying for the exam and offering it during the school day. If more students are able to take a college admissions test at no cost during the school day, more underrepresented students can be connected directly to scholarships, personalized test practice tools and college application fee waivers — removing historic barriers to higher education. Although we in Long Beach have managed to give both the SAT and the Smarter Balanced assessments in 11th grade, test fatigue is causing undue angst about these and other exams for eleventh graders and their teachers. Our students face final exams and Advanced Placement exams in multiple subjects, along with multiple administrations of the SAT. Just when our high school juniors and their teachers can catch their breath, here comes the Smarter Balanced test that they have to take before they leave school for the summer. While Smarter Balanced works well in the earlier grades, the SAT is the more practical exam for 11th grade students. Smarter Balanced provides college-readiness data informing course placement for California State University schools, but the SAT can also be used for course placement and is accepted much more broadly by more than 2,400 colleges and universities, including CSU, for admission purposes. That’s why our high school students and parents see far greater value and relevance in the SAT. We’ve also found that our students’ performance on the SAT correlates almost identically with their performance on the state’s 11th-grade Smarter Balanced assessments in English and math. This correlation holds true for all students, including English learners and special education students. AB 1951 passed overwhelmingly in the State Assembly and Senate. It is also supported by 38 school districts and other organizations statewide, including the California School Boards Association, the California Association of Latino Superintendents and Administrators, and the California Federation of Teachers. During the time Long Beach Unified has offered the SAT for free, we’ve seen significant increases in the number of students meeting minimum requirements for admission to California State University. At the same time, our graduation rate has increased for the sixth year in a row. More of our students are completing the a-g coursework required for admission to both CSU and the University of California. We’ve also seen a big increase in the number of students passing Advanced Placement exams for college credit. Success like this should be emulated, not resisted. 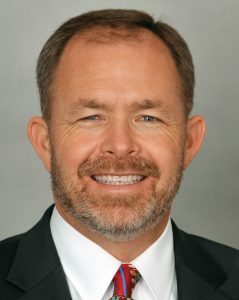 Christopher J. Steinhauser is Superintendent of Schools for the Long Beach Unified School District.